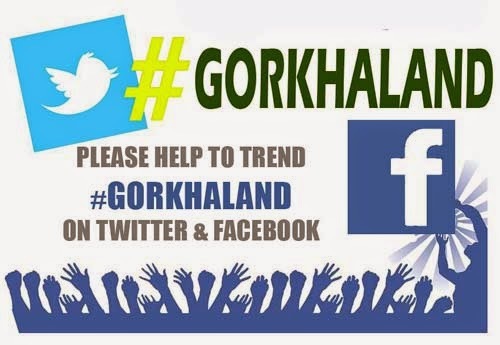 #Gorkhaland hashtag may have failed to trend on Twitter, but it has ignited a feeling of camaraderie among the Gorkha community of Darjeeling and surrounding areas, says the popular local online media, Darjeeling Chronicle. A day after senior BJP leader Dr. Subramaniam Swamy said in public that (the) “formation of Gorkhaland is mandatory, and it will happen in due course of time” - Darjeeling Chronicle, popularly known as DC, took ‘Gorkhaland’ to the popular mini-blog site ‘Twitter’ with the aim to make the statehood demand a trend worldwide. “Our objective in trying to trend #Gorkhaland was to get India start talking about our issue. It did not matter to us if we generated negative criticism. It did not matter if people wrote goods things about Gorkhaland or made bad comments; what mattered was that India needs to start talking about Gorkhaland,” said a DC employee.